The New York State Department of Transportation (NYSDOT) is already involved in a public process to explore alternatives to the deteriorating Interstate 81 in Syracuse and they will now also be reviewing alternatives to Buffalo’s Skyway to assess its future. The Skyway consists of 1.5 miles of elevated highway and its crumbling infrastructure, similar to I-81, is considered outdated and structurally deficient, posing risks for its users. Some believe the recent improvements along numerous infrastructure routes, such as a $2.3 million improvement project completed along South Park Avenue, would allow them to be reviewed as routes upon which the displaced Skyway traffic could travel in a removal alternative. 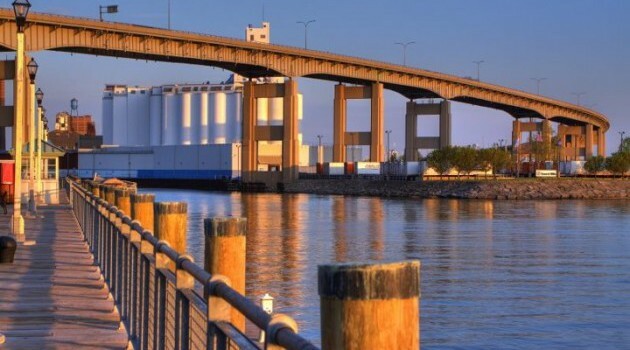 Higgins expects the review will also consider the recent economic development along Buffalo’s waterfront as well as an assessment of the 27.5 acres that would be opened up on the outer harbor for redevelopment if the Skyway was removed. Click here to learn more about the review.